Bishop Ryder's Church was built by public subscription in a densely packed working-class area of Birmingham, the welfare of whose population the Bishop of Lichfield took to his heart. Image from Mike Chester's website Church Bells of Warwickshire - http://www.warksbells.co.uk/lost.htm. Above: SDUK Birmingham town plan of 1839, the red circle showing the future site of Bishop Ryder's Church. Image from the Mapseeker website, reuse permitted for non-commercial purposes. At this time Gosta Green was at the edge of the built-up area of Birmingham, though it was not long before the town spread westwards and dense working-class housing filled the spaces remaining on this map. Bishop Ryder's Church appears on the 1890 Ordnance Survey map which can be viewed at British History Online - http://www.british-history.ac.uk/mapsheet.aspx?compid=55193&sheetid=10098&ox=2525&oy=216&zm=1&czm=1&x=592&y=198. This is now the site of Aston University Sports Centre. This church was built to commemorate Henry Ryder, Bishop of Lichfield. The first Evangelical Anglican to be made a bishop, Ryder was involved in religious and educational provision for the working classes. 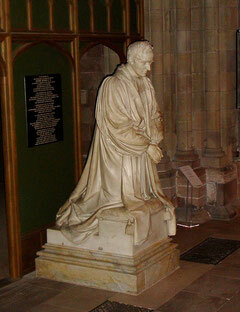 After some 12 years in office as Bishop of Lichfield, he died in office in 1836. 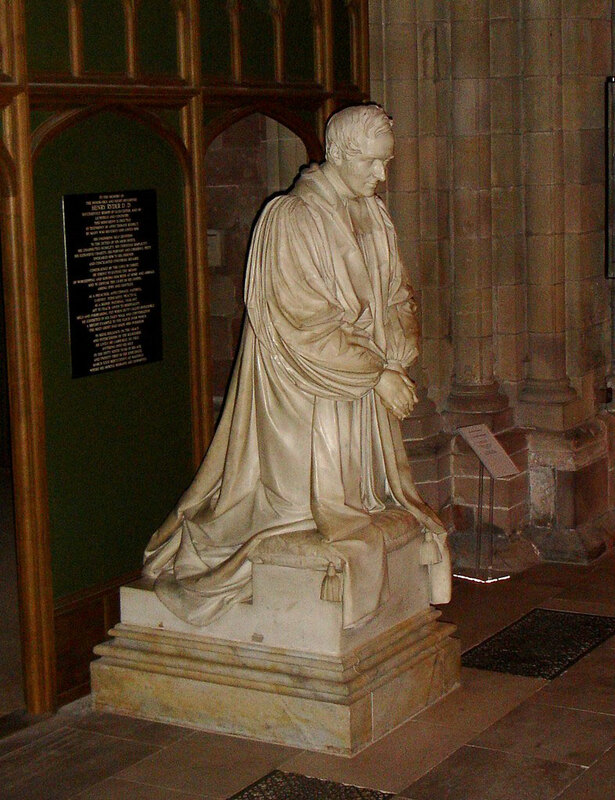 After Ryder's death the Earl of Dartmouth chaired a meeting at St Philip's Church where it was agreed to raise subscriptions throughout the diocese for a statue to be raised to commemorate the bishop at Lichfield Cathedral. The church was a simple building of red brick and stone designed by the Birmingham partnership of Rickman and Hussey in Early English gothic style with a pinnacled tower. It was consecrated in 1838. The chancel was rebuilt in 1894 by J A Chatwin. The church was assigned a parish out of that of St Martin's in 1841. In 1925 the parish of St Mary, Whittall Street which closed that year, was united with Bishop Ryder's, as in 1939 was part of the parish of St Bartholomew which closed in 1937. 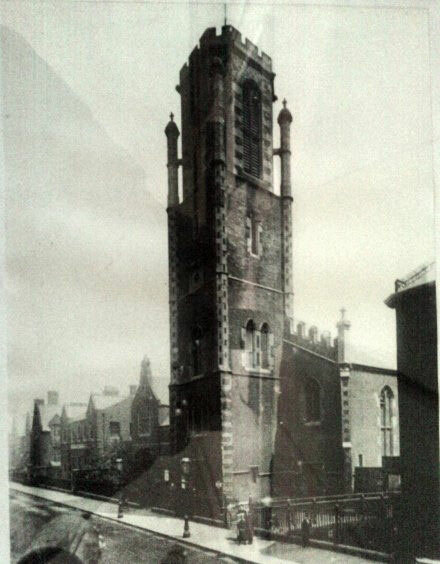 Bishop Ryder's Church closed and lay empty for some time before being demolished in 1960 as all the slum housing in area around was also demolished. A single bell by William Taylor of Oxford, cast in 1838 hung in the tower until 1868 when the first full peal of eight ever cast in Birmingham was installed by Blews & Son at a cost of £600; the tenor weighed 11-1-21. Over a hundred Birmingham bellringers celebrated courtesy of Blews at Nock's Hotel which was formerly in Union Passage off New Street. The bells were rehung in 1895 by Carrs of Smethwick in the same frame. However, the bells, which always considered to be of poor tone ceased to be rung in 1922 and were recast by Taylor's of Loughborough the following year with a slightly heavier tenor. The frame was also lowered by 20 feet in the tower at this time. Until the the closure of the church the bells were popular with peal bands, 199 in total being rung, the last in August 1959. When the church closed in 1960 the bells were transferred to Harborne where they are still rung.